These two deluxe reissues by American label Cuneiform – Triskaïdékaphobie and Le Poison Qui Rend Fou – shine a light on one of the original Rock In Opposition bands, the Belgian collective Présent. In 1979 having left Univers Zéro after two albums, composer/guitarist/pianist Roger Trigaux enlisted bassist Christian Genet, who had appeared on UZ’s eponymous fist album, and drummer Daniel Denis, another UZ member who would remain behind the drums for both groups. Completing the line up was jazz and classical pianist Alain Rochette, and in 1980 Présent unleashed their debut LP Triskaïdékaphobie into the wide world. 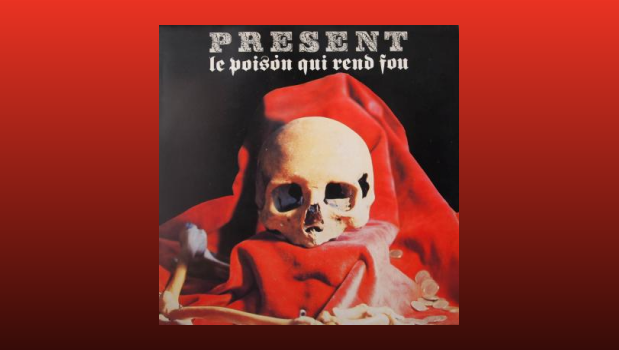 It took some five years before the second album Le Poison Qui Rend Fou saw the light of day, and the line up now included Ferdinand Philippot, who had replaced Genet on the bass guitar. The album had actually been completed by 1983, but the disappearance of the owner of their intended record label led to band disintegrating in an avalanche of money problems and personal trauma. The record was eventually released posthumously in 1985. 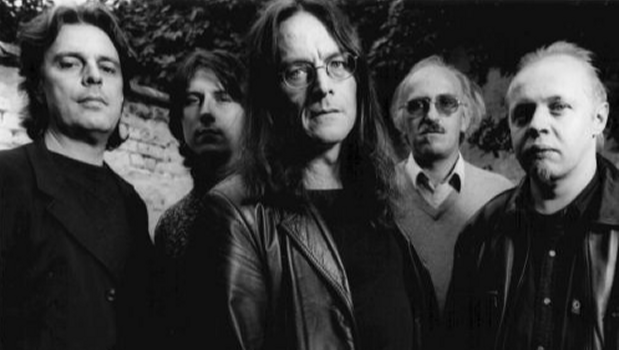 After the split Trigaux left the music scene until a gradual re-emergence saw his band reforming in the 1990s, and Présent still make occasional appearances now, as the fabulous Once Upon A Time In Belgium ensemble attests. This 2011/12 collaboration featured the entire line ups of Présent, Univers Zéro, and Aranis playing compositions from all three bands including Présent’s stunning epic Promenade Au Fond Du Canal. We still wait for any kind of release of the show, and it would be a criminal omission if that landmark concert has not been professionally recorded for prosperity. Anyway, I digress. Le Poison Qui Rend Fou eventually saw its delayed 1985 release on none other than Cuneiform Records, and judging by its catalogue number RUNE 3 it would seem to have been only the third release on a label that has become hugely important over the years, a valuable outlet for left-field and forward thinking music. The original Cuneiform release neatly brings us full circle to these deluxe reissues of two seminal (and I do not bandy that word about lightly) albums in the then nascent RIO scene on that same label. 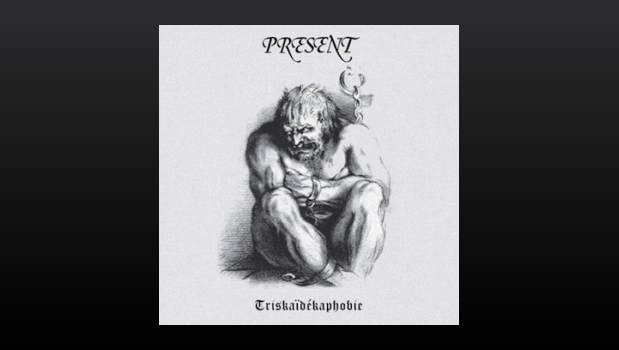 Triskaïdékaphobie, or fear of the number 13, opens with what is one of the landmark compositions of the 20th century, and a piece that is as much modern classical as it is rock music. The near 20 minute Promenade Au Fond Du Canal (Walking at the bottom of a canal) is an epic construct in every sense of the phrase. Dark, menacing, and glowering, this carries on from where Univers Zéro’s first two albums left off, with added electric menace courtesy of Roger’s more upfront guitar. Coming from a place where Bartók and Stockhausen are debating musical theory with Robert Fripp, the piece opens with a low four note guitar figure and eerie tinkling piano playing around the slowly shifting theme, and an air of threat is soon established. The pace is suddenly quickened by a short burst of Frippian notes from Roger, and the band are off, flying along in a flurry of fast ensemble playing that is quite thrilling. Promenade is a composition comprised of sections that seamlessly meld together to form a rollercoaster ride of churning intensity, where the repetition hypnotises before flinging the listener over the edge of a sonic precipice in the company of Roger’s cacophonous howling guitar. Promenade Au Fond Du Canal is a masterclass in sonic suspense. A timeless composition that is still performed live today, usually as a set closer, Promenade Au Fond Du Canal would prove to be a hard act to follow on this album. The next piece Quatre-vingt Douze (Ninety-two), had it been the opening track, would have probably have garnered as much praise, for it too is a sublime composition and arrangement but it was always going to struggle slightly against Promenade, which may have been better placed as side two of the original record, rather than side one. But this is like criticising a ruby against a flawless diamond, a tad mean-spirited, for Quatre-vingt Douze is indeed another gem. A short staccato militaristic opening theme is bound together by some calming piano, playing a cyclical sequence of notes. The tension builds as the nervous piano opening theme is reprised and the orchestration of second keyboards joins in. On this track Daniel Denis’ precise and powerful drumming is almost another lead instrument, and Christian Genet’s bass guitar is thunderously fraught. If anything Quatre-vingt Douze is more complex than Promenade and requires a high level of intellectual investment from the listener that is more than recompensed over the tune’s quarter of an hour. By now you will have correctly surmised that Présent are not easy listening, but like any true art, persistence and concentration are rewarded many times over. The original LP ended with the short but deeply unsettling Repulsion, where a simple theme consisting of the tolling of a piano/guitar “bell”, crashing percussion, and deep sonorous bass slowly builds and then fades over the horizon, akin to the dimming of a nightmare. The bonus tracks on offer are Présent’s live versions of UZ tunes from a 1981 concert in Brussels; Daniel Denis’ Dense, which would appear on 1981’s Ceux du Dehors, and Roger Trigaux’s Vous le Suarez en Temps Voulu from UZ’s 1979 second album Heresie. Both have more urgency than the UZ studio versions, and of course Dense has since become something of a RIO anthem. Fans entranced by Triskaïdékaphobie had a long wait for this, the second, and for time being, final release from Présent. This album has its epic too; Le Poison Qui Rend Fou (The poison that causes madness) is split into two parts and is a more considered though no less effective piece of music than the near full on assault to the senses that was Promenade. Le Poison Qui Rend Fou Part 1 introduces itself with a ringing guitar figure set against atonal piano chords that give way to a complicated and repetitive but ever-shifting rhythmic theme. The listener is then surprised by the entrance of the almost operatic vocals of Marie-Anne Polaris, keyboard player Alain Rochette’s wife. She sings a rhythmically altered child’s nursery rhyme, tying in with the song title which apparently draws from Hervé’s Tintin, as the extensive sleeve notes by Aymeric Leroy & Renato de Moraes explain in full detail. Her vocal serves to briefly lend the piece a Zeuhl feel, as it does not last for long, although a marching militaristic bass line soon reprises the Magma dynamics. Slowly but surely winding up a staircase of increasing intensity, any notion that Le Poison is in any way a lesser piece than Promenade is soon put to rest. A second section starts suddenly as drums bass and piano play contrapuntal chess, soon racing across a plateau of high tension. Just as suddenly becalmed, a slow repeated four note piano figure is initiated, backed by a full classical piano part, presumably by Alain Rochette, highlighting the player’s deft skill on the instrument. The four note theme is taken up by Roger’s menacing guitar while Daniel’s inspired and unusual drumming dances around the established rhythm. All this is held down by Ferdinand’s bass playing a counter melody. The overall effect is complex and thrilling, a real musical adventure, and that was only Part 1. If anything, the complexity is greater still on the following Ersatz, which one could imagine being played by Gentle Giant at their most obtuse. Ersatz, as you no doubt know, means a pale imitation of an original, but quite how this applies to this piece is beyond me. Whatever this is a copy of, I’ve not heard it! Le Poison Qui Rend Fou Part 2 commences in waltz time, but the poison has by now well and truly infiltrated the system under the influence of more of Roger’s piercing liquid flurries of guitar notes. The piece twists and turns before ending with eerie crashing chords fading away into the distance. The album ends with Samana, a less fraught piece originally for two pianos and later embellished, and about as reflective as this band ever got first time round. It retains a sense of fun, as Daniel’s snare drum was slowed down during recording so that when played back it sounds like it is speeding up, eventually sounding like a toy drum. These releases are essential purchases for any fan of adventurous music. Even if you have earlier versions of these two albums, the CD extras, Udi Koomran’s immaculate remastering and the extensive liner notes and many photos make both Triskaïdékaphobie and Le Poison more than worthwhile purchases. The live CD gives a good idea of the power of Présent on stage, and proved to be the last concerts by the original line up. The sound quality is acceptable, and the gig is what makes this release a must have for fans of the band. The rarefied atmosphere is compounded by the audience’s polite applause after each number, a reaction more expected from a classical concert crowd than one of the rock variety. The video files come from a VHS cassette and feature a complete Ersatz, plus excerpts from two other pieces. They are somewhat grainy, but serve as a fascinating insight into the concentration of the ensemble.